If there’s one thing you can say about business parks in America, it’s that they can hold amazing surprises. Nestled in one such park in lovely Santa Clarita, California is SoCal Diesel. This place is more than just another diesel shop. You’ll find plenty of those around – guys who tinker on diesel engines and transmissions all day. This is several tiers higher, with active interest and effort directed toward improving how a diesel engine works on a fundamental level. In the case of SoCal Diesel, this tends mostly toward the Duramax line. We ventured out to SoCal Diesel and spoke with President and CEO Guy Tripp, as well as Sales Manager Lorenzo Zamora. What followed was a revelation – learning all about the merging of engineering savvy with high-performance diesel. Tripp was not always a diesel guy. For much of his life, he was firmly in the gasoline side of things. His beginnings in the automotive industry date back to 1982, when he joined Air Flow Research as a machinist. Over the years, Tripp was privy to (or starting on his own) several developments that pioneered what could be done to engines. Before long, he was on call from NASCAR and NHRA racers all along the West Coast. He became a go-to expert for all things relating to cylinder heads, and his work added to the prestige of AFR. Some of the things he worked on included refining the SBC cylinder head manufacturing process, testing out engines on dynoes, and overseeing AFR’s engineering and manufacturing departments. The signature blue color of SoCal Diesel engines is derived from Metallic Blue, a GM-made color first introduced on the third-gen Chevy Camaro. It is Guy Tripp’s favorite color. After news of the first Duramax began circulating, Tripp saw an opportunity to make the engine his specialty. He waited until late 2002, when the prices were more reasonable, and got his first Duramax – the LB7. After messing around with some of the early programmers, tuners, and chips of the day, Tripp learned he could easily double the horsepower and torque of the LB7. It only served to fuel his curiosity. “I was on a quest to understand more about diesel,” he said. Built in 1999 by Todd Bevis, this S-10 was once an NHRA Pro Stock truck. "We found it on Racing Junk around 2010," said Tripp. "It was state of the art – carbon fiber doors, driveshaft, brake rotors, and the like. We updated the wheels and tires, and outfitted it with a 7.1-liter Duramax LBZ. It'll go 200+ mph in the 6.7-second range. Hopefully, it will compete in the NHRDA opener in March of this year." From 2006 until today, SoCal Diesel has never let up on quality, let alone innovation. Billet main caps, pistons, and other engine parts trailblazed the way to success. De-lipped and coated pistons, for example, offered users better longevity high-horsepower applications. This was done through a partnership with MAHLE. Using a degree wheel, a technician can check and ensure that the valvetrain is in proper synchrony before buttoning everything up. One special treat that was cool to see was a billet aluminum block getting prepped and assembled. It will soon be ready to do battle in the 2018 racing season. Today, SoCal Diesel has its plate full with a constant flow of parts and engines coming through. There’s also the move to the new facility that happened in November. This doubled the size of SoCal Diesel’s previous facility, and offers expanded production and continued innovation for years to come. We took a tour of the building to see what SoCal Diesel does on a daily basis. 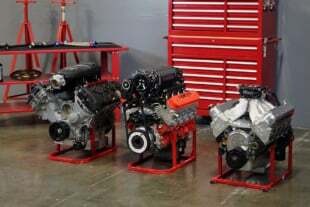 Our first stop was the engine room, where a handful of Duramax V8s were on stands. Each one was in a state of disassembly or re-assembly. Duramax V8s in the engine room get checked for clearance first, and then assembled with all of the parts clearly laid out and organized. 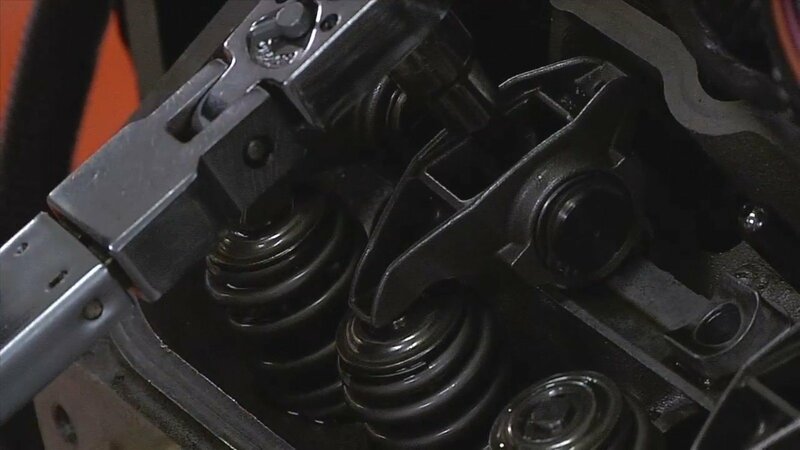 Tripp demonstrated the virtues of the narrowed connecting rod on a 6.6-liter Duramax. By shaving off about 1/8 of an inch of the connecting rod, that much material could be put back onto the crankshaft. This would bolster the crankshaft's strength and prevent breakages, which these cranks are known for. 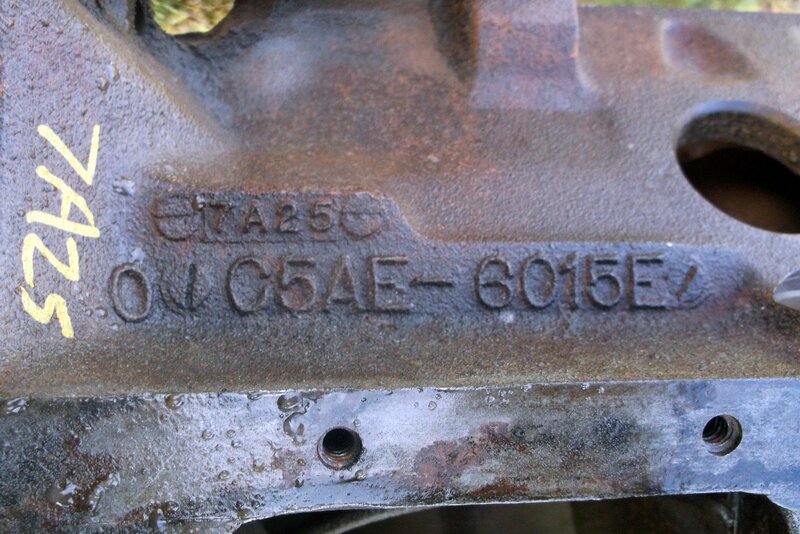 It was here that we learned the virtues of narrow connecting rods, which SoCal Diesel pioneered for the Duramax. Tripp explained that crankshafts in these motors have a way of cracking at the intersection of the second main journal and no. 3 rod journal. By making the rods narrower (which had a negligible effect on their overall strength), the material that would have been on the rod could transfer to the crankshaft and make the journal stronger. Swirling together thousandths of an inch, phasing cams, press-fit main caps, and hours and hours of measurement can be arduous work, with the extensive double-checking thrown in for good measure. But it’s the SoCal Diesel way; controlling quality is what keeps the SoCal Diesel name intact, and keeps people coming back and referring their friends, too. The machining room is where the magic happens at SoCal Diesel. CNC machines, balancing machines, waterjets, lathes, and other state-of-the-art equipment come together, providing the staff with the means to produce high-quality heads, crankshafts, and other engine components. With our visit to the engine room complete, we walked out onto the main floor and into the machining room. Off to the side was the famous shop race truck, sans drivetrain; it was being torn down and examined before an upcoming race, unfortunately. Still, it was a magnificent vehicle. Across the room, a Haas CNC machine was working a mile a minute, porting a Duramax V8 head. Despite the cutting fluid coating the entire inside, the head looked immaculately carved up. The CRT display plotted X, Y, Z, A and B axes at a rapid rate, giving the tool bit constant tweaks to follow and make perfect ports. Naturally, the tooling and technology capabilities at SoCal Diesel make them local superstars with the automotive scene. “We don’t make a big noise about it, but we do contract work for many shops in the area that have nothing to do with diesels,” said Tripp. Tripp showed us an example of a "clamshell" head, which had a machine relief on the ports. When paired with a clamshell intake manifold, it makes for a larger plenum volume. "This larger plenum volume decreases low end power, but increases midrange and top end power," explained Tripp. With all of its state-of-the-art machining, innovative takes on diesel, and focus on quality, there’s no shortage of reasons why SoCal Diesel has found success. Tripp and his team bring care and attention to everything that they do, and it shows. We thank Tripp and the guys for taking the time to show us all what goes on behind the scenes at SoCal Diesel. For more information on what they do and how they operate, be sure to check out the company website and Facebook page.